Hiring a cleaning service can be one of the best decisions to make, in order to improve your quality of life and free yourself from the stress of a messy house. If you’ve recently paid a cleaning service or are considering hiring one, here are some tips to keep your maid motivated and mindful, while they are in charge of tidying your home. Running a household is the same as running a small business. In order to have others respect your manager role, you need to act like the person in charge. Be fair and decisive. Show leadership qualities like communicating well, delegating and having a positive attitude. A cleaning crew will respect you more if you’re organized, efficient and confident. If you have to run yourself ragged every time the maid service is planning on dropping in, you’ll feel inept and your maid will be less motivated to perform to high standards. Make sure your house is free of clutter and chaos that will thwart them from doing their job. If you’re providing some of the equipment or tools for your cleaning crew, make sure that they’re in working order and have all the necessary cords, bags and additional pieces. Don’t leave your maid a clogged vacuum or a broken dishwasher. Maids are not mind readers. 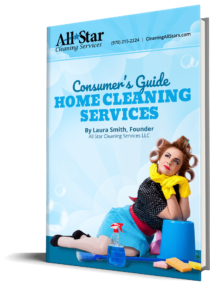 Make your expectations about the assigned cleaning tasks very clear and be very specific; offer insights on how items should be arranged, where to store or put away clothing, dishes and other household objects. Communicate what you want achieved with every cleaning session. Leave a note with instructions that offer details and particulars on the cleaning for the week or month. Make sure your maid feels competent and motivated by offering chores and tasks that require greater skill than busy work. Maids should be responsible for tasks beyond the realm of making sure the family pet is happy or the kitchen is color-coded; they should be assigned to significant and consequential tasks. Praise is ultra-motivating and encouraging. Communicate to the maid service how their help is an invaluable asset to keeping the household running smoothly. Encourage them with positive feedback and offer compliments and kind words.